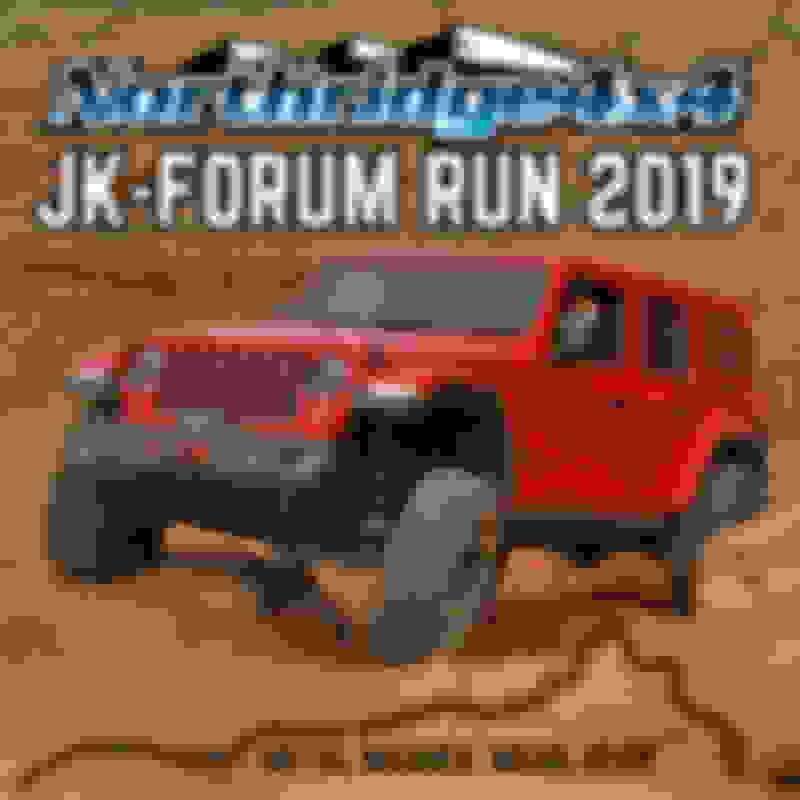 This year we have the pleasure of having the legendary Dan Mick Jeep Tours leading us on this Northridge4x4 Northridge4x4 exclusive trip for JK-Forum members. This is an all day run and limited to a first come first serve sign up for the list below as well as our trail leader and trail sponsor rigs. We want to make this an enjoyable run for all and we keep the lineup moving as Dan has promised to show us more coolness of the way back down. Being a Moab native and trail guide we're sure he has some pretty cool tricks up his sleeves! Make sure your CB is functioning properly because Dan narrates for you us so it's educational as well as fun! *** Once to the top of the trail and overlook we'll plan to have lunch! This unique opportunity is limited to 30 rigs and once the slots are filled up we'll begin taking names for the waiting list. 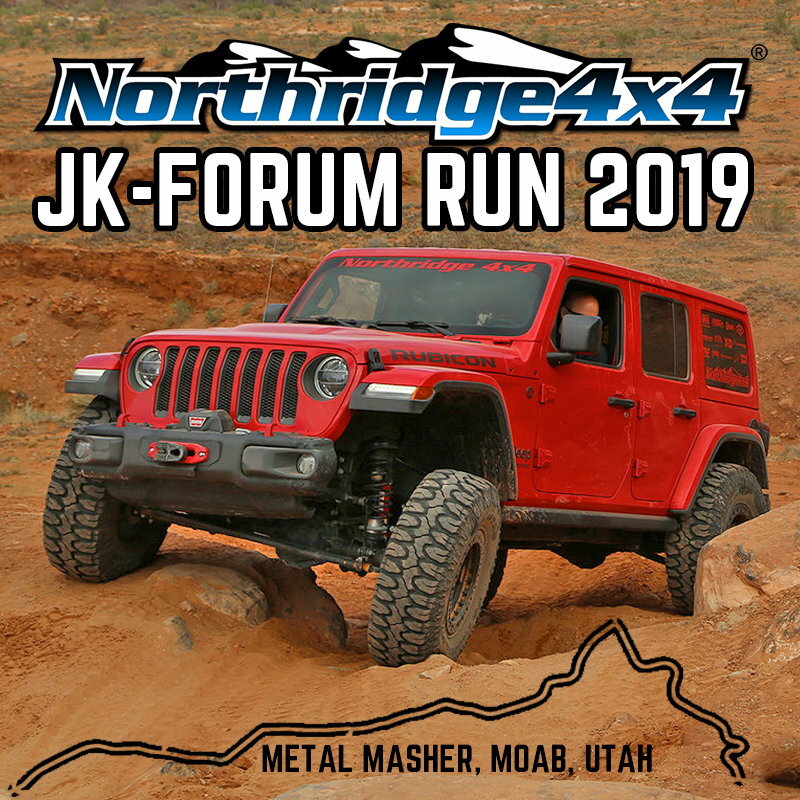 As a reminder, every year we have people drop out leading up to Moab EJS so make sure to sign up because you could just make it onto the list. We have more surprises in store as well! ****Important Notes**** -Lunch will be covered by Northridge4X4! -Each member signed up for the run will receive a special swag pack from Northridge4x4! -Run will be limited to 25 forum members rigs. (each rig participating must sign up for the run, no signing up others)! -Each member must include all people in their rig and t-shirt sizes! A major trail goal is Arth's Rim, which overlooks Highway 191 about 1300 feet below. The route first angles up the sloping part of the cliff to a gap in the rim rock. It follows Little Canyon partway into the mesa to resume the climb along the more gentle slope of the tilting rock strata. Much of the trail is routine four-wheeling, but the approach to the rim through Mirror Gulch is difficult and threatens sheet metal. Later in the trip Widowmaker Hill has become so extreme your leader will take a roundabout bypass to the top. Approximate mileages: 66 total, 46 off pavement. Last edited by Canvas; 03-20-2019 at 07:07 AM. Please list the people in your Jeep and t-shirt sizes. Last edited by Phxchargerfan; 02-21-2019 at 05:36 AM. I would enjoy being a part of this run! 2 in my jeep. T- shirt sizes 3xl and 1xl. Thank you! Please put me down. 2015 Rubicon on 37’s. 2XL shirt size. Thanks!